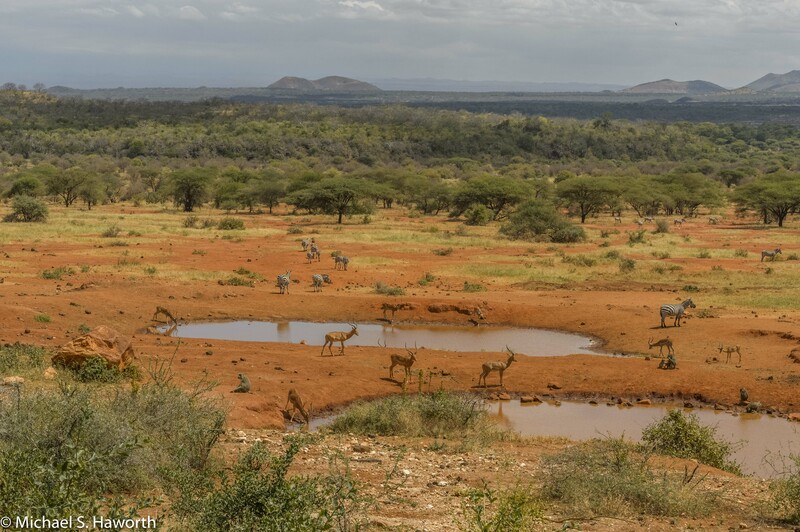 Tsavo West is a game reserve in the south east of Kenya. There are two Tsavo reserves each either side of the Nairobi and Mombasa. This area is known for “the man-eaters of Tsavo”.The Tsavo man-eater attacks occurred while construction workers were building the Uganda Railway. The railway was being built between Port FlorenceLake Victoria, now Kisumu, and Mombasa. Two maneless lions killed 135 people in less than a year before John Henry Patterson, who was overseeing the construction, managed to kill them. 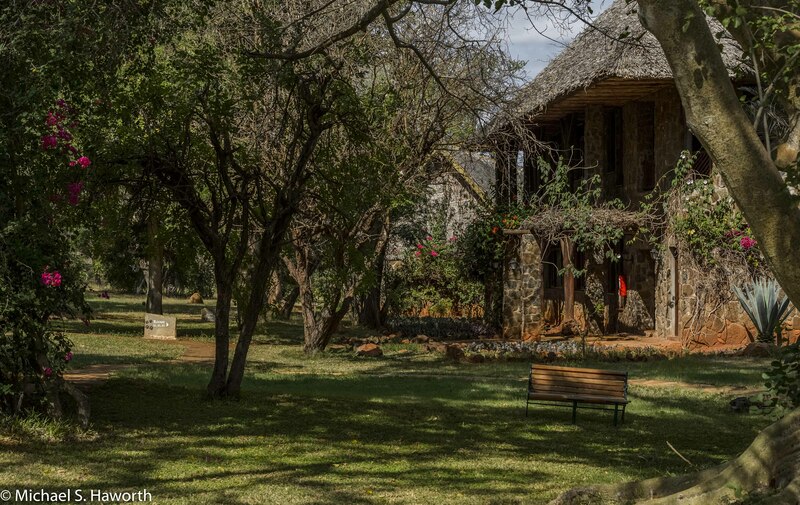 The Kilaguni Serena Safari lodge is one of the first safari lodges built in a park in Kenya. 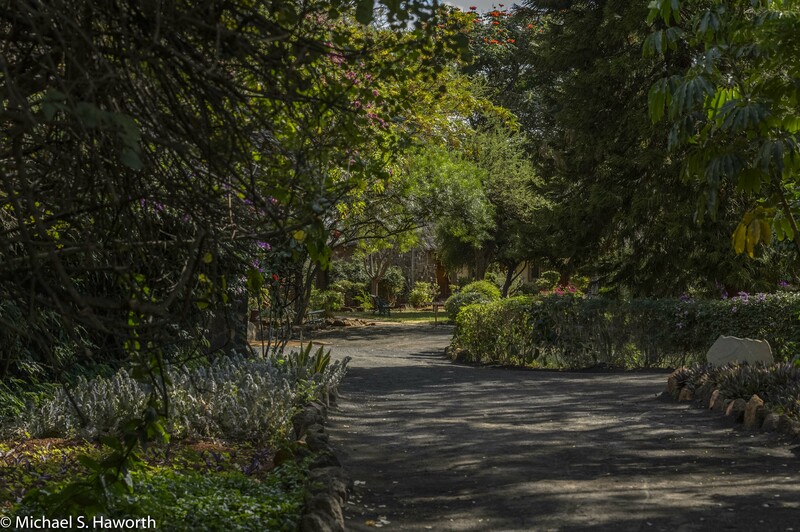 It is situated in the lee of Mount Kilimanjaro and sheltered by the volcanic splendour of the Chyulu Hills. 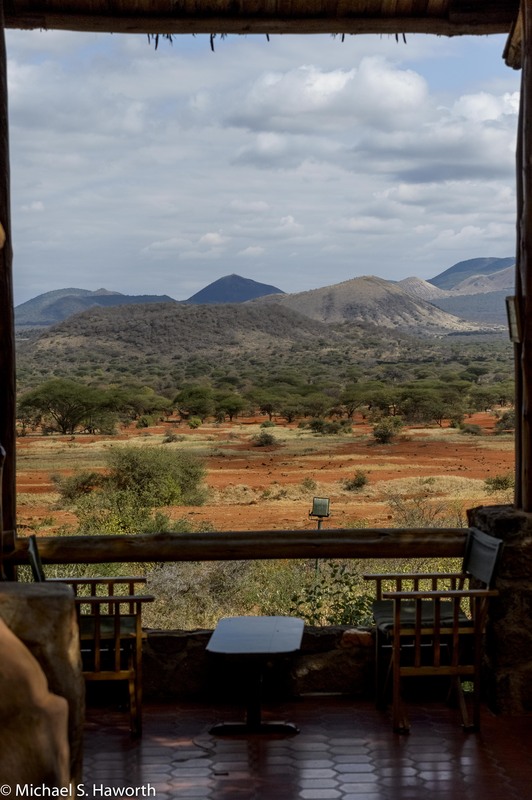 As you walk into the lodge you get an incredible view down onto two waterholes and a vast wild area which extends up to the Chyulu Hills. The views from the bar are breath taking. These were the two waterholes right in front of the lodge. The soil was an unusual red colour and game streamed to drink at these water holes day and night. This is a panorama of the view from the balcony of the lodge. 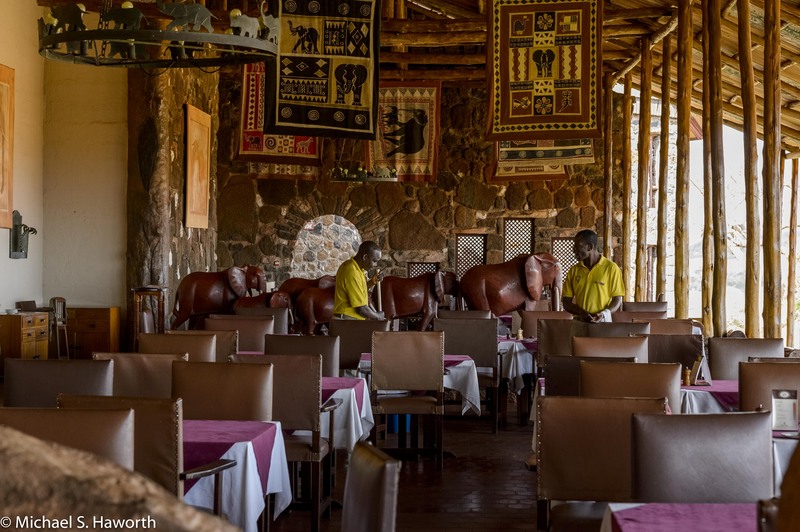 his classic stone-built safari lodge overlooks its own water hole, which is visited daily by elephants, buffalos and a wide variety of plains game. 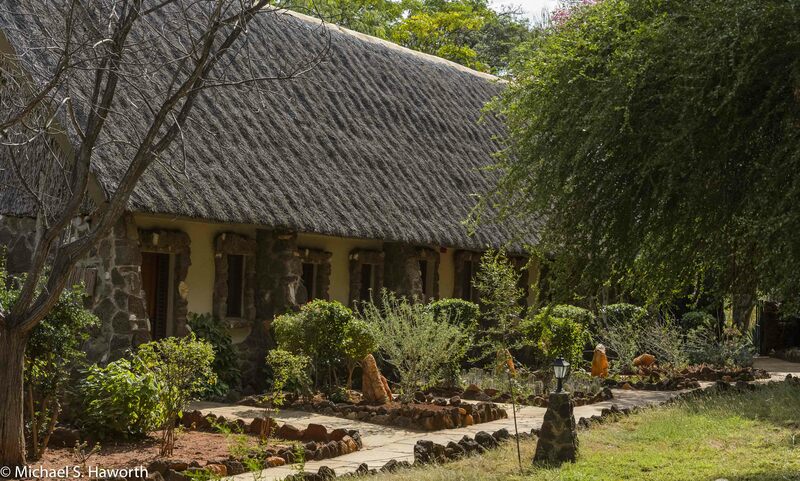 , the lodge is cool, tranquil and hushed for optimum game-viewing. 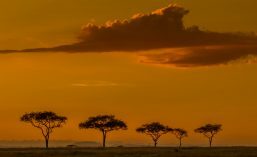 It is also ideally placed for visits to all Tsavo National Park’s prime attractions.